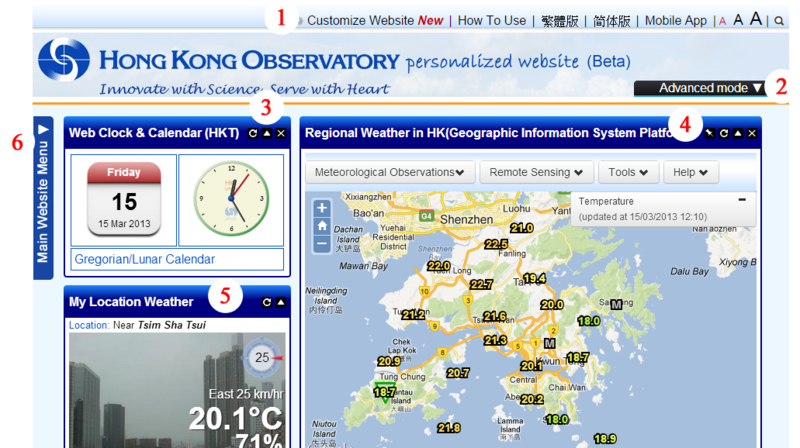 Cookies are employed by the Hong Kong Observatory personalized website to save user preferences on their computers. No personally identifiable information would be collected and saved. Users may opt for not accepting cookies by changing browser settings. Under such circumstances, user preferences could not be saved and user experience may be affected. You may not be able to gain access to all features on this webpage with tablet and smartphone devices. You are recommended to use the “MyObservatory” mobile app.